This B&B favourite is a light bright room with a double bed to provide cosy comfort. At its best basking in afternoon sunlight, a feature window seat offers views over the country side and neighbouring equestrian centre. 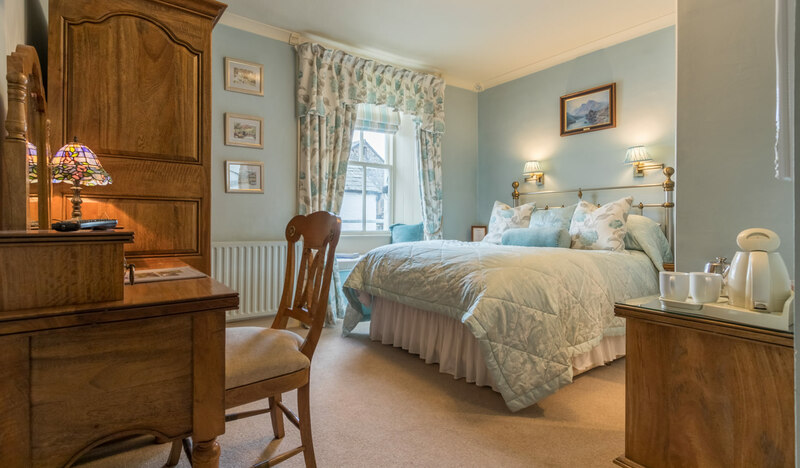 The Iris Room, recently refurbished with Laura Ashley colours and fabrics in delightful shades of duck egg blue and taupe with furniture made from a richly coloured mango wood from approved renewable resources.